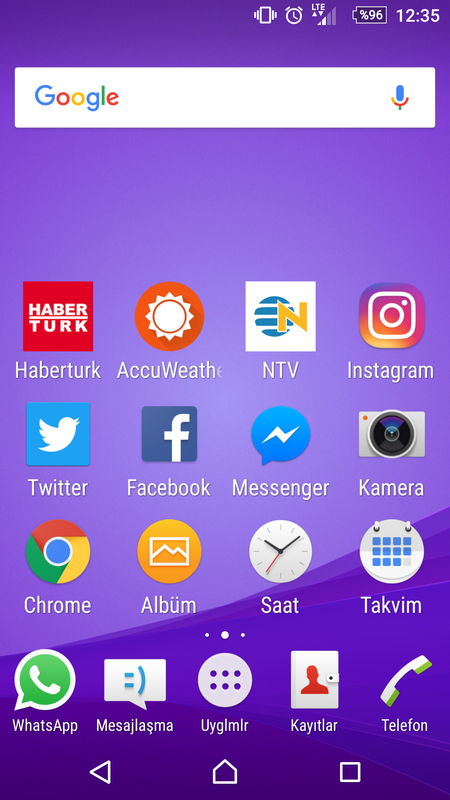 Re: Share your Xperia Z3 home screen.i like to keep my home screen simple! How to upload a pic here?? Press the image icon and choose you're image. When i open the camera at keylock, symbol names are bigger than before. How can i fix it? I like it though there are only 4 icons in the bottom row, where there it used to be 5 since I am using the SCR26 cover. Now it means that I can't add the SMS shortcut. I am usign Xperia live wall paper, original icons. Does anybody know how to make the bottom row appear with 5 icons again?